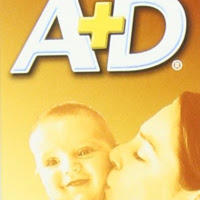 A&D Ointment has become a popular choice among moms especially to prevent diaper rashes for their babies. However now more adults & parents start to realize that this ointment is also suitable for them. So – the most important question is – How A&D Ointment can help you and your baby? One tip: You can try this ointment to heal your feet. Apply A&D Ointment all over your feet to the ankle during bedtime. Put your socks on and do this as a routine. You might see this product not suitable for you the first time you see it. But who knows? Just try and feel it. A&D Ointment is not only a great product for daily use to prevent diaper rash for babies in diapers but for your daily use too!